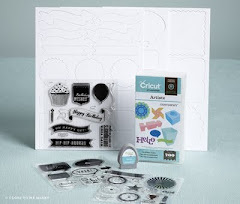 Need to get caught up on your scrapbooking??? Then this is for you! I know I'll be ordering some for myself. It's the best deal Close To My Heart has ever offered for Studio J Online Digital Scrapbooking. You can double your layouts with our Five for Free promotion! For each Studio J® 5-pack you purchase this February, you’ll get one free 5-pack. That means you get 10 layouts for just $55—that’s just $2.75 per page, with free shipping! Even if you’re already taking advantage of Studio J’s incredibly low members-only pricing, you’ll save even more when you purchase 5-packs through this special February deal! You can order your 5-pack and free 5-pack online on my website. You can get started creating your Studio J layouts here. If you have shopped online with me before, you can use your previous login information. If not, create an account and get started!